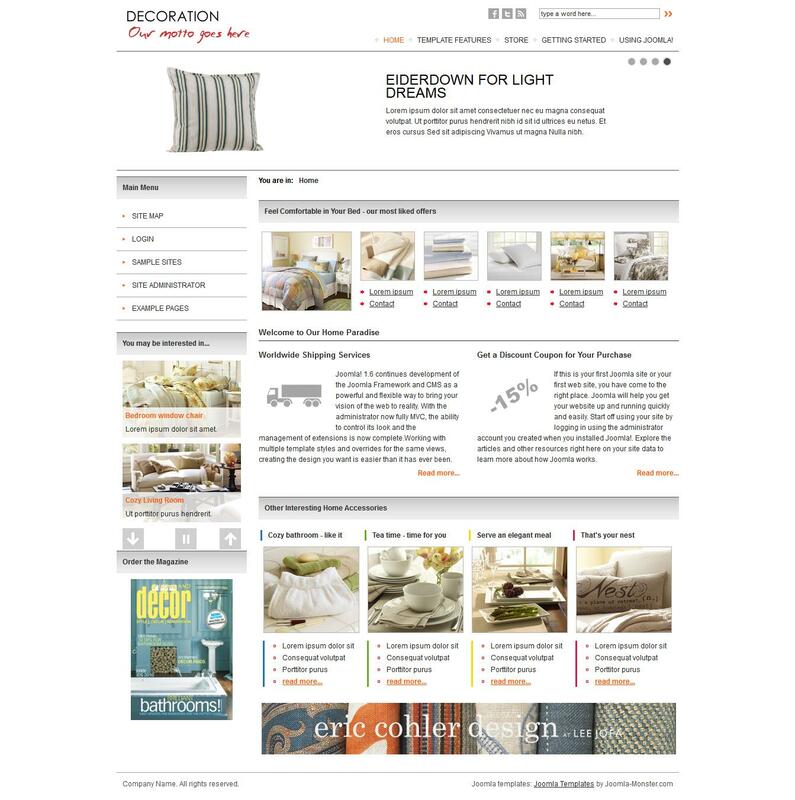 Besides ordinary templates, developers Joomla Monster, created a template for online - shops running Joomla 2.5x, it has the name of JM Home Deco Store . This template is designed in soft and bright colors, includes VirtueMart - Recently popular e-commerce component that helps you create online - shops. The color scheme is only one, but apart from her in the template and you can see a special modular design that allows you to quickly place the items you want on the site.